Integrated Practice Management for maximum data accuracy. Administer multiple providers’ schedules across several office locations with ease. Block off hours, set-up rules for recurring appointments, and create schedule templates. Staff can check the next day’s schedule for patient insurance eligibility as well. Submit claims electronically, interface with clearinghouses, utilize claims rules engine, track the status of claims, and determine what and when services will be paid. Claims Scrubbing – Save time and money by ensuring your claims are error free prior to submission. E&M Coding Advice helps categorize the levels of service provided, leading to maximum reimbursement. Extend workflow efficiencies to same-day claims denial management. Our new Denial Management Module allows same-day discovery of claims that are denied by payers based on ERA posting. Create CARC Code groups that include your most vexing and time-sensitive denial reasons. When the day’s ERA posting is complete, users can immediately begin work to turn your claim denials into cash. 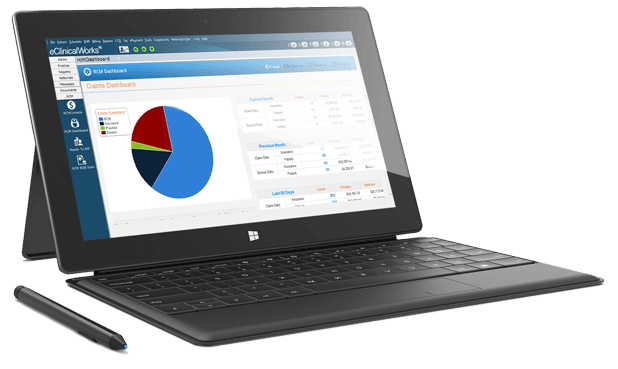 Unlock the valuable data stored inside eClinicalWorks with eBO. 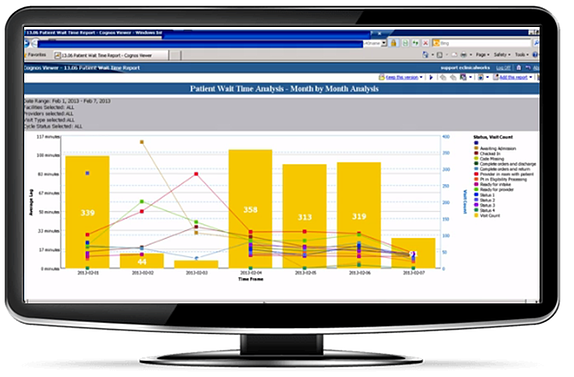 eBO improves operational and clinical reporting content. With over 300 canned reports and 3000 metadata elements and enhancements to deliver timely detailed predefined jobs that improve operational efficiency and increase profitability margins. 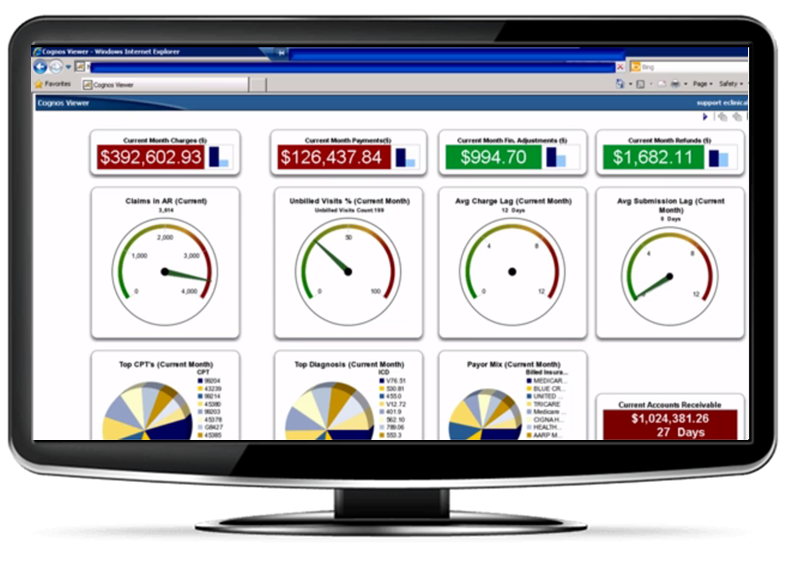 Turn valuable data with real-time metrics and dashboards into insightful shared information to make timely decisions with ease. See why more than 100,000+ providers trust eClinicalWorks. 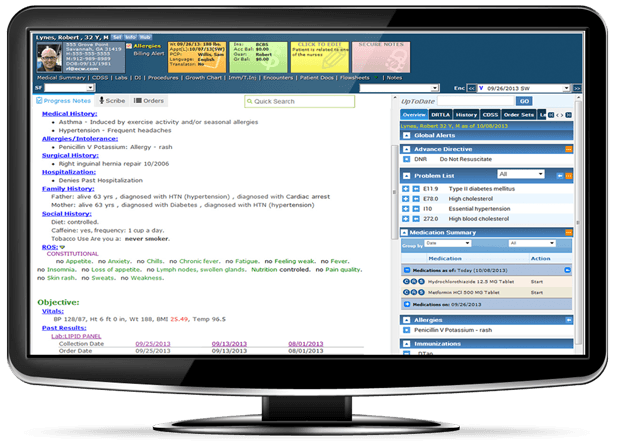 Schedule a live demo to see how eClinicalWorks can transform your entire practice.